The Humane Society of Raleigh County relies on generous people to donate so we can continue helping the greatest number of animals in our community. We offer many unique Giving Opportunities to choose from. Your contributions help us save animal lives, fund our spay and neuter program, assistance services and humane education efforts. A huge thanks to all who have supported us for over 30 years! DONATE NOW, IT CAN BE TAX DEDUCTIBLE! Humane Society of Raleigh County is a 501(c)(3) non-profit organization that relies on your generous support. 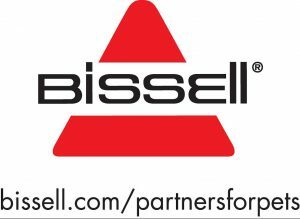 Tax-deductible donations can be made by EITHER check or via PayPal. If you donate by check in the U.S. please make checks payable to Humane Society of Raleigh County. When your donation is received, a receipt will be issued for your tax records. Please be sure to include your contact information, including your email address. 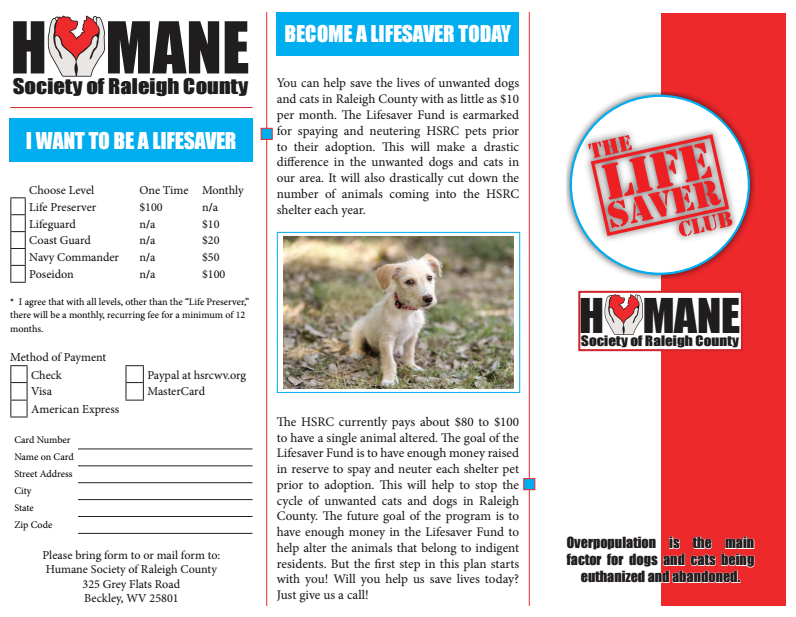 Make a safe and secure donation to the Humane Society of Raleigh County using your credit card or your PayPal account. Select one of the donation options on the right to send your tax-deductible donation now. A Memorial Gift is a beautiful testimony to the life of a person or beloved pet that has passed on – and a gift of life for animals in need. It can be just the right touch for expressing compassion and bringing comfort to the friends and family who have lost a loved one. Please send an email us. “In Memory” of donations are a positive way to celebrate a life – long after the flowers have faded, donations made “In memory of” or “In honor of” a loved one will live on. If you, or someone you know, have lost a loved one or a beloved pet, you may chose to remember them with a donation to The Humane Society of Raleigh County. Each donation made to the organization will go to the care of the homeless animals that visit the shelter each year, who need a safe and loving “forever” home. We are asking for volunteers who would like to help the HSRC save lives!! This is the best solution for Raleigh County but it does come with a price tag. The HSRC will have to have enough money in reserve to fix each animal that is adopted from our shelter. Becoming a lifesaver will help the HSRC ensure these pets are fixed prior to adoption. Depending on the success of the program, we hope to expand to help indigent Raleigh County citizens get their pets fixed. We are simply asking for a repeating monthly donation that will be earmarked for the Lifesaver Fund. These payments can be set up through Paypal or by automatic debit at the shelter. We are also accepting one time donations for the Lifesaver program! Just sign up on the form attached and you have already saved a life! Did you know that the number one cause of pet overpopulation is not having your pet spayed or neutered? When someone fails to have a pet spayed or neutered, or “fixed” as many people call it, dogs and cats have litters of puppies and kittens. In one year, one unaltered female cat and her offspring could have 12 offspring. And one unaltered female dog could have 16 offspring in just one year! But where do all of these unwanted animals go? The sad reality is that over 3 million dogs and cats nationwide end up in animal shelters and over 2.4 million healthy dogs and cats are euthanized each year because there are not enough homes for them.